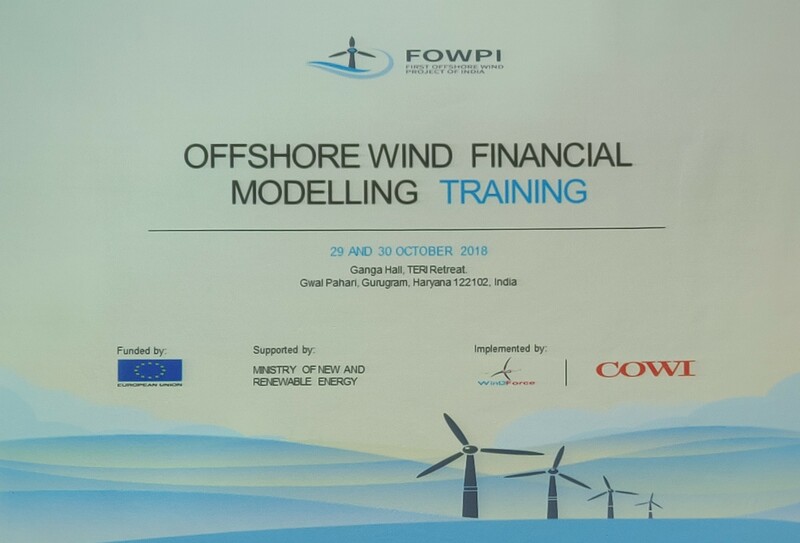 The FOWPI Project Management Team organized a two day training session on the Financial Modelling of Offshore Wind in India on 29th and 30th October at TERI Retreat Center, Gwal Pahari, Gurugram to key governmental stakeholders including MNRE, NIWE, SECI, IREDA, GEDA, GPCL etc. He studied Environmental Sciences at the Wageningen University & Research in the Netherlands. He worked for 7 years in the Netherlands' Ministry of Environment, in the first 5 years as part of the Dutch delegation to the UN Climate Change negotiations (UNFCCC), the UN aviation organization (IACO) and the UN maritime organization (IMO), and in the last 2 years as senior policy advisor in the area of air quality. He then worked for almost 5 years for the Environment Committee (ENVI) of the European Parliament, in the area of climate change and renewable energy. After that he specialized in the legislative procedures of the European Union and the negotiations between the Parliament and the Council of the European Union. In total he worked 11 years in the Parliament, during which he also worked in the Cabinet of the President of the European Parliament, advising him on energy and climate change issues. Mr. Yadav is currently looking after the development of Hydro and Wind Power in the country. In the field of Hydro power, he is currently looking after the state government hydro projects, Prime Minister’s package of Ladakh Renewable Energy initiatives and small hydro projects in the private as well as government sectors. He is also the Chief Vigilance Officer for the promotion of wind energy in India. Some of his areas of responsibility in this field includes offshore wind energy, small wind energy, repowering of wind power plants and hybrid policies and wind resource assessment. Mr. Gabriel is the deputy project head of FOWPI and is responsible for monitoring various work packages within FOWPI’s scope. He has a master’s degree in wind energy from DTU Denmark followed by a Climate & Sustainable Energy Finance specialization at Frankfurt School of Finance & Management. He has been working for COWI in both project manager and specialist roles for numerous offshore wind projects including Borselle 500 MW Offshore Wind Farm in the Netherlands, The Baltic sea offshore wind cooperation planned by DG ENER and The Danish Offshore Wind Farms Road-mapping planned by the Danish Energy Agency. Prior to COWI, Gabriel worked for the Norwegian developer Statkraft and the Stanford funded N.G.O Energy Crossroads. Dr. Cannon has received his Ph.D. in Clinical Physiology from the Oxford University and is an experienced banking specialist who during a 19 year career with the EIB has previously managed financial transactions supporting infrastructure and corporate investment, across in Africa, Asia and the Pacific. Mr Hørmann is an economist with a deep technical knowledge which he uses to bridge the gap between engineering and economics. For more than 15 years, he has been involved in quantitative analyses to support Danish and European energy and climate policy debate. He has been a main driving force behind the development of COWI’s services within data analysis and communicating these analyses in user-friendly interactive Excel models. 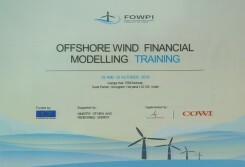 Mr Hørmann is the main architect of the financial model developed for the FOWPI project. The presentaions delivered during the Financial Modelling Training Session could be found at the following link.